The Janus Henderson Global Unconstrained Bond Fund suffered about US$60 million of redemptions in December, according to Bloomberg estimates. The outflows lowered the fund’s assets to US$950.4 million from February’s all-time high of US$2.24 billion. 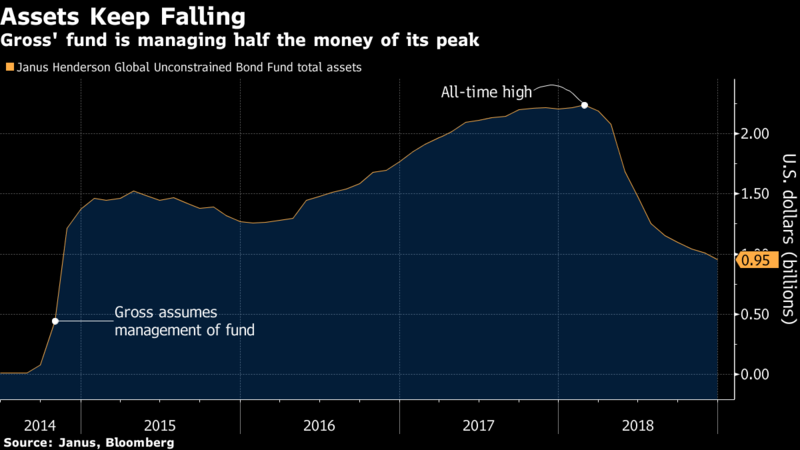 Investors have pulled money for 10 consecutive months since the February peak, in part amid misplaced bets by the fund that rates on U.S. Treasuries and German bunds would converge, a position it later scaled back. Gross piled up a loss of about 4 per cent last year, underperforming more than 80 per cent of peers, according to data compiled by Bloomberg. A spokesperson for Janus Henderson Group Plc could not immediately be reached for comment via email outside of office hours. The decline in the fund’s overall assets was first reported by The Financial Times. Gross leveraged up his bond fund through the use of futures during the first half of 2018, only to suffer big losses on those tied to interest rates. He had almost US$153 million of losses on interest-rate futures in the first half. Bets that U.S. 10-year bond yields would narrow their spread over those of similar German debt were mostly losers in 2018. The gap closed at about 2.46 per centage points on Friday. The U.S. share price of dual-listed Janus Henderson Group Plc fell 46 per cent in the past year to US$21.37. 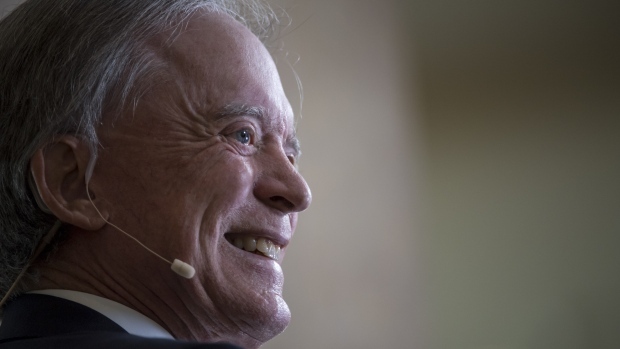 What Is Bill Gross's Bond Fund Even Betting on Anymore?